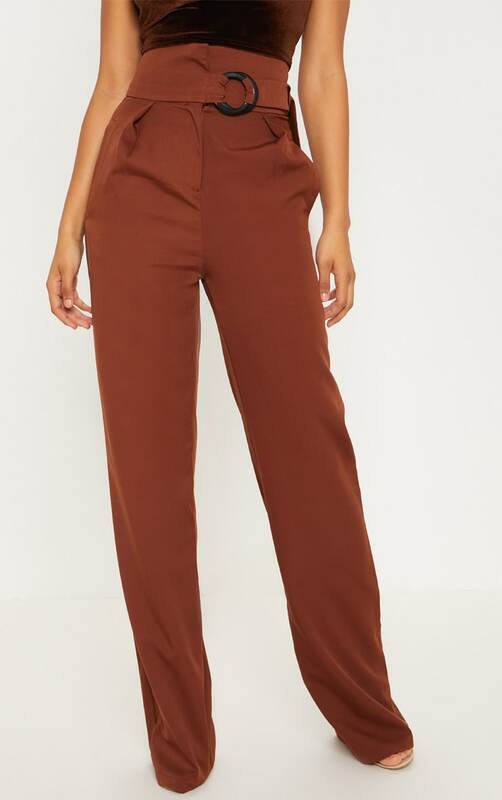 These pants are everything we are loving to dress up or down. 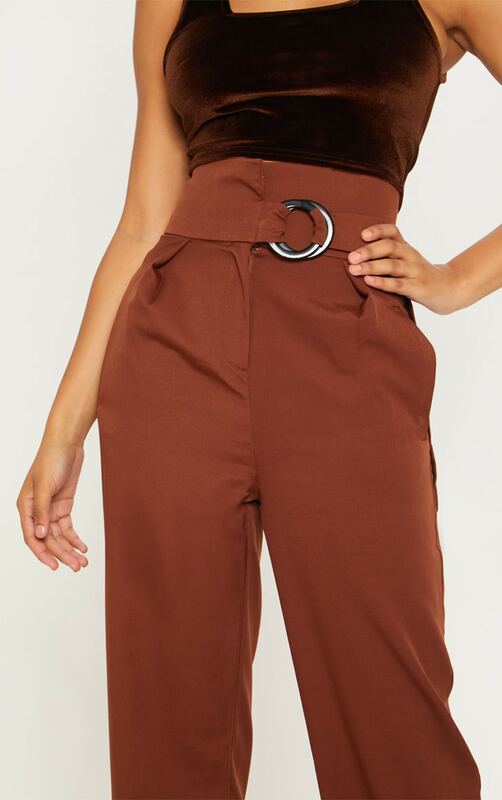 Featuring a chocolate brown material with a ring belt detail and a wide leg fit. 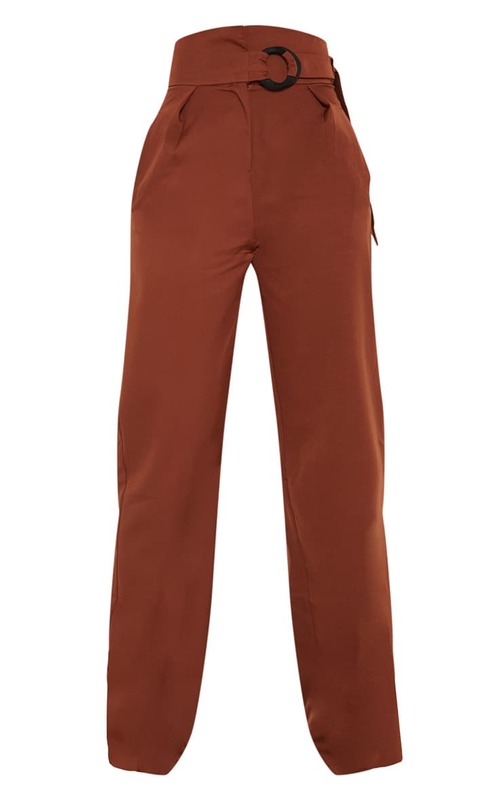 Team these with a bodysuit and strappy heels for a weekend worthy look.